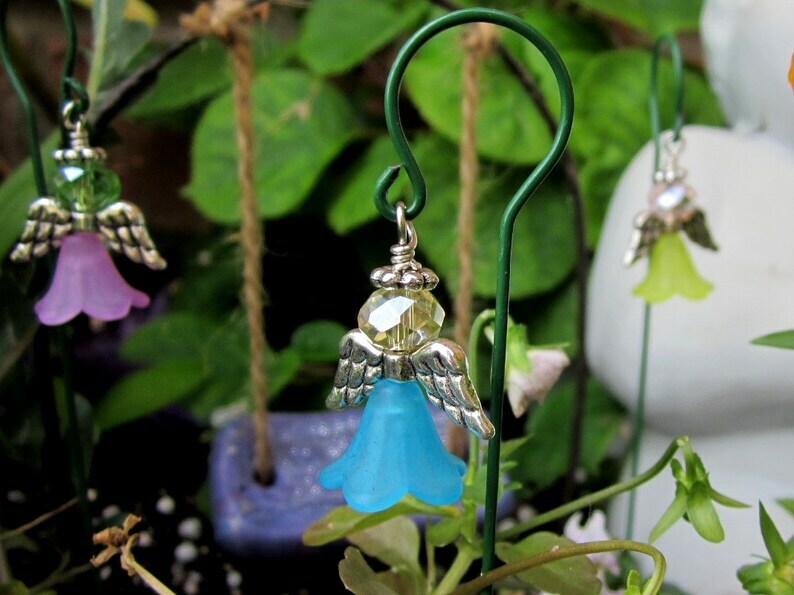 With this listing what you will receive is one Garden Angel. It is handmade and makes a great addition to your fairy garden. The Shepherds hook measures 6 1/2 inches tall and the Angel measures 1 inch.